Insights from thousands of local people are being used to develop a masterplan. Created in collaboration with Catford’s passionate and diverse community, this masterplan will guide future development in the town centre into the 2030s. Catford town centre remains the civic heart of the borough as it has been for decades and will continue to be so. In years gone by, it was a vibrant cultural destination with the Broadway Theatre, cinemas, a music hall and the greyhound stadium both attracting people across south east London and strengthening a proud local community. 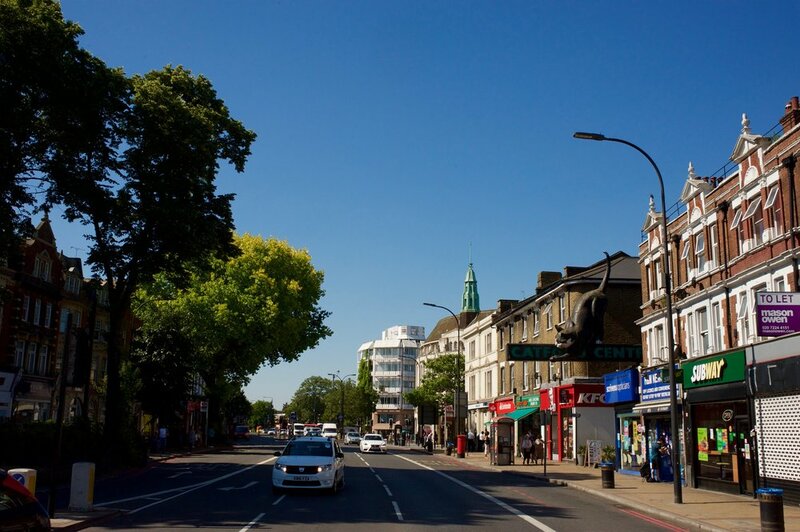 Lewisham Council is leading work to transform the town centre – Catford’s revival. The starting point is the re-routing of the south circular which will free up more space to reimagine the town centre. Catford Shopping Centre will be redeveloped, providing new retail space and new homes will be built across the town centre. Pedestrian-friendly areas, open spaces and new community facilities will also be created. The aim is to improve the quality of life in Catford town centre and meet the demands of a constantly growing and changing area. This means more homes in safe and welcoming places, with access to jobs and training. It’s a long-term plan, but things are already changing. Work is underway on a new three-screen cinema with a bar, food court and music recording studios set to open in the shopping centre in summer. Film set builders, Supersets have moved into the derelict depot on Thomas Lane and Lewisham Council is also in negotiation with some exciting tenants for other vacant spaces including the Brookdale Club, units in the shopping centre and on Rushey Green. Team Catford has revived the monthly food market, with 35% of its traders from the immediate area, it is firmly rooted in Catford and become a favourite fixture of the local community. To find out more, visit catfordfoodmarket.com or pop along to Catford Broadway on the last Sunday of each month. The masterplan will be a shared vision for Catford town centre, a blueprint to guide development in the neighbourhood for the next 10-15 years. Ready to share your ideas? We are here to listen and make sure your views are heard. Everyone who lives, works, shops or socialises in Catford is invited to participate in the consultation.